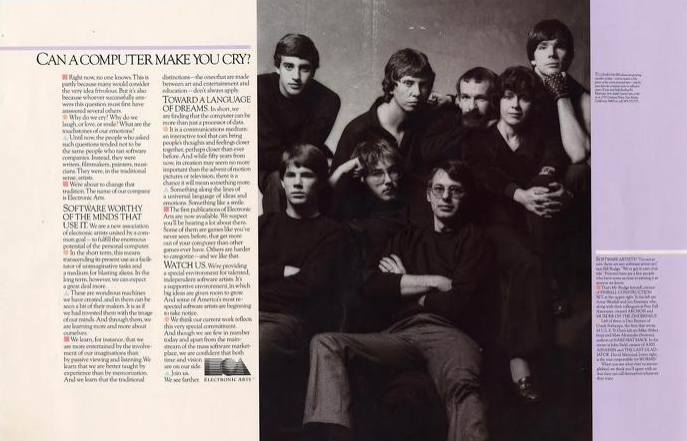 Keith Stuart discusses the advert that changed the games industry, Felipe Pepe covers the games of and interviews Turkey's video game pioneers, Cecilia D'Anastasio reports on the trouble with Riot trying to change their culture while the people that created it are still there, Game Score Fanfare tells the story of the band behind the soundtrack of No Man's Sky, Patrick Klepek on why remakes and remasters don't always credit the original creators, Capcom closes Dead Rising studio, Rachel Presser finds the more positive messages in the Leisure Suit Larry series, European gambling regulators promise to tackle unlicensed third-party websites offering gambling for video games, Wolfenstein 3 being worked on, KingK on the simple twist of The Messenger, free content for Marvel's Spider-Man and Frostpunk, Steven Messner asks a player what you do in Kerbal Space Program when you have over 4,000 hours in it, and more. 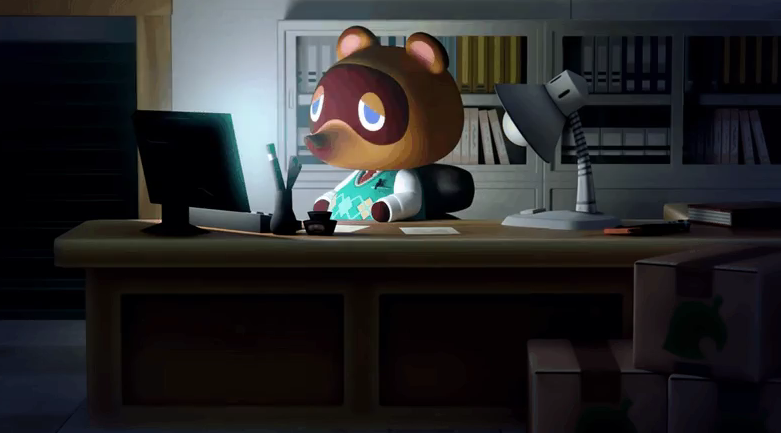 Today Nintendo hosted its first Direct presentation in a while, announcing a lot of Switch and 3DS ports, teasing next year’s Animal Crossing, and announcing that Luigi’s Mansion 3 is in development for Switch. The history-themed, combat-free Discovery Tour was an unexpected highlight of Assassin’s Creed Origins, and the mode will make a return for Odyssey. That means you’ll be able to explore ancient Greece without the threat of enemy attacks, and get some lessons on history along the way. 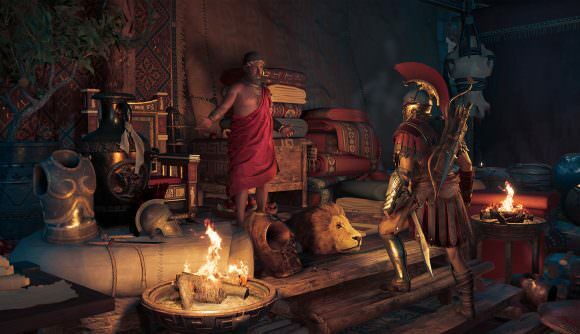 Assassin’s Creed Odyssey launches in less than a month, and Ubisoft says its post-launch content plans are more ambitious than ever before. 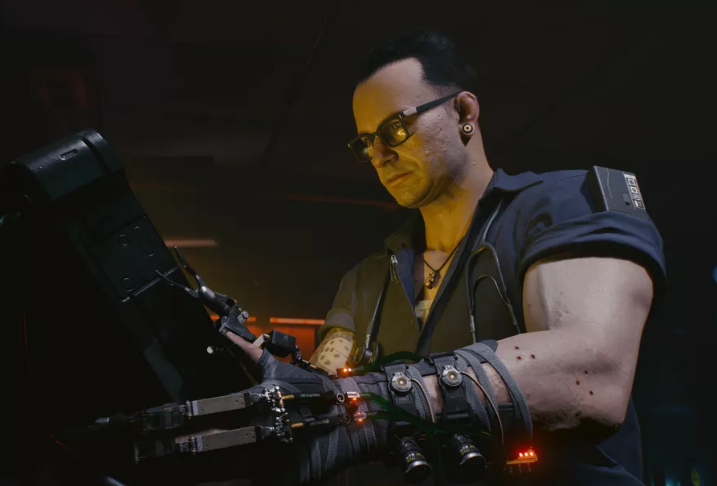 That includes paid season pass expansions and free updates, with an episodic release schedule the developers liken to a TV series. In this exclusive Game Informer interview, Ben Hanson speaks with Miles Leslie to focus in on the specific design of a new Call of Duty: Black Ops 4 multiplayer map called Arsenal. The map is designed around the headquarters of the company of Diaysler, who designed the technology behind the series' multiplayer scorestreaks. Watch the walkthrough above to see how the Treyarch team puts together and thinks about the geography and lore of a multiplayer map. 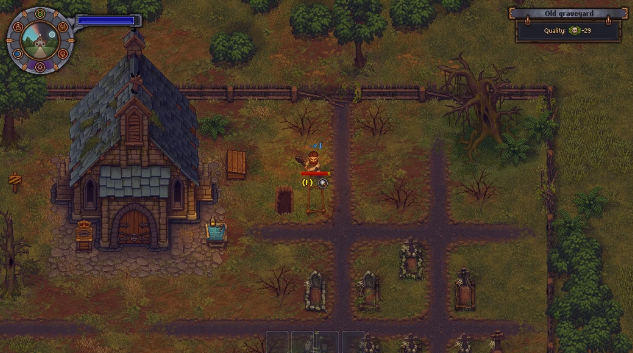 Currently, you can kill an ally and grab their loot. 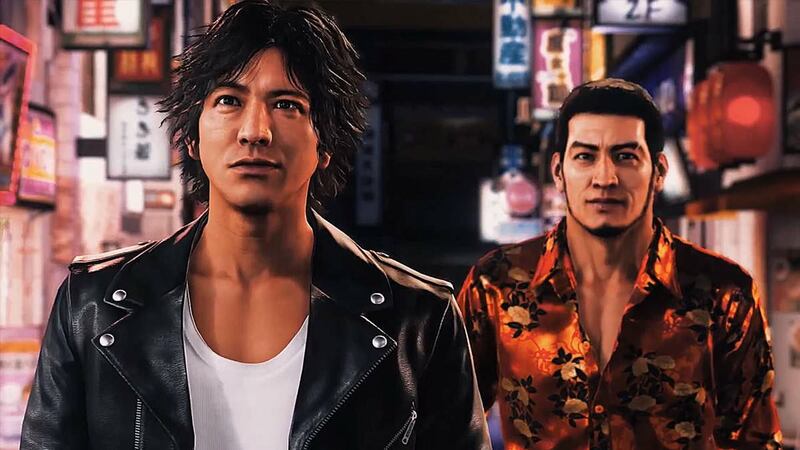 Dan Bunting: "The most important aspect of game development is being able to adapt"
We take a look at the demo for Ryu ga Gotoku Studio's new title, Judge Eyes. Apparently responding to concern expressed by fans online about the size of the maps in Battlefield V, some of DICE’s level designers have shared an in-progress shot of the upcoming game’s Hamada map, an area featured in WWII’s North African theater. 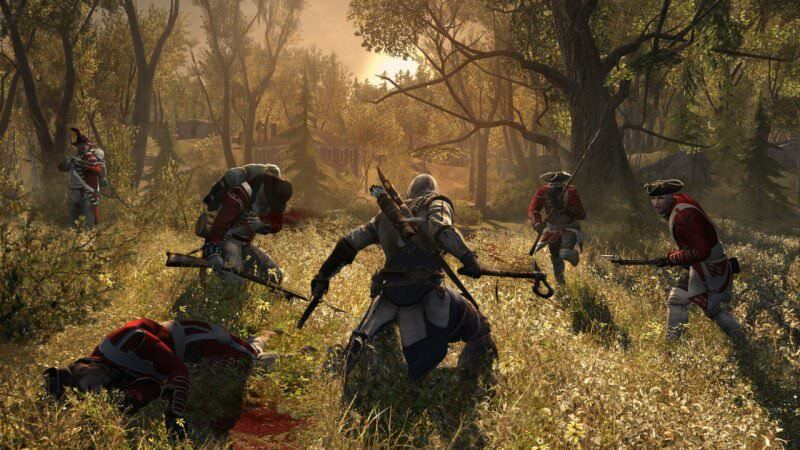 Assassin’s Creed Odyssey’s season pass will include, among other things, a remastered version of Assassin’s Creed III, publisher Ubisoft said today. There’s also downloadable content set in Atlantis, DLC surrounding the “first hero to wield the iconic hidden blade,” and a remaster of Assassin’s Creed III: Liberation. Sukeban Games and Ysbyrd Games announced VA-11 HALL-A sequel N1RV Ann-A: Cyberpunk Bartender Action for PC, PS4, and Nintendo Switch today. Time was running out in the great game of Expo Hall wanderings. Twenty minutes before the hall closed on the final day of PAX West I was stopped in my tracks by a game with grim allure: We. The Revolution. Supermassive Games changed how horror games were played with its PS4 slasher thriller Until Dawn. 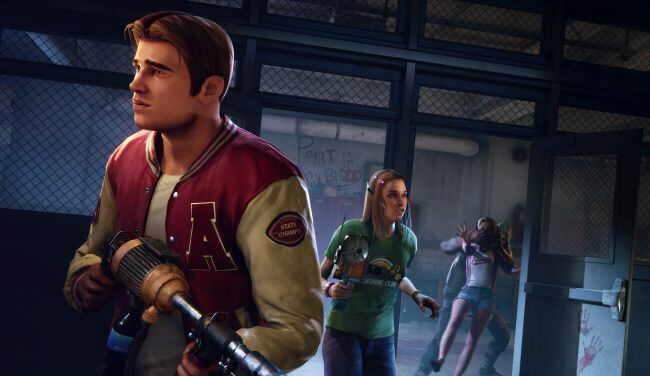 Coming out in 2015, it stripped back the murderous challenges of horror games and focused on decision making, a bit like a Telltale game – the choices you made determined whether the eight survivors died or not. 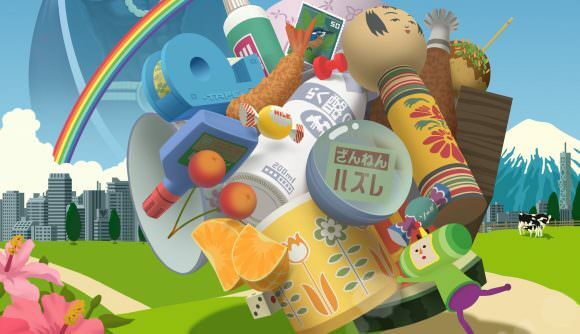 Katamari Damacy, the game about rolling things up into a growing ball, is getting a high def remaster this year, and this time around it’ll be coming to PC. Next game from the creator of Papers, Please. CD Projekt Red has announced that Thronebreaker: The Witcher Tales, set in the world of The Witcher, will be coming to PC via GOG on October 23. Daniel Mullins, the creator of beloved indie horror mindfuck Pony Island, is back with more genre-bending antics. His new murder mystery game, The Hex, has a central conceit with which I became immediately enamored: all the suspects are stand-ins for different video game genres. Atlus has released a barrage of information on Catherine: Full Body ahead of TGS 2018, including a new trailer, and new details on the Limited Edition in Japan. "Let's dance!" Raphael the master of fencing returns in SOULCALIBUR VI! He brings his his agile swordsmanship back to the Stage of History! Surreal murderventure Killer7 is a hallucinatory experience, and one that will be all the more vivid when it arrives on PC. Grasshopper Manufacture and NIS America have released a new trailer, showing off their upcoming PC remaster in action. Unsurprisingly, its razor sharp art direction holds up well at high resolutions, and a boost to framerate and an expansion to widescreen gives it a slick new look. Check out the video below, and see what Garcian, Dan and Kevin Smith (no, not that one) can do against the howling Heaven Smiles. Horse combat, archery, siege weapons, and more. Watch Keyblade Hero 3 fight alongside Big Hero 6 in San Fransokyo! Learn more about Sora, Donald, and Goofy’s journey in Frozen, Monsters, Inc., Tangled and Pirates of the Caribbean worlds. 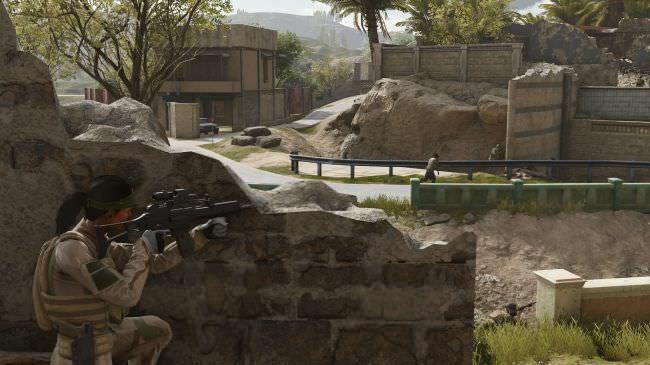 The appeals of first-person shooting and real-time strategy seem at odds: in the former, you want a boots-on-the-ground experience of combat, while in the latter, the draw is to the bird’s eye view of the battlefield commander. Executive Assault 2 is offering both, and it’ll launch into early access on Steam this fall. There's a troll blocking our path, bellowing with rage. The witch says she can defeat it with a curse but I've got a better idea. 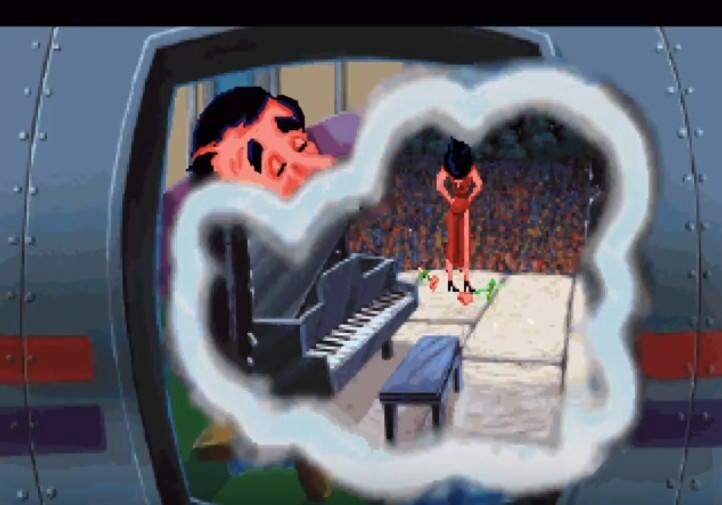 I will defeat it through the power of song. Fortunately, every problem Wandersong has thrown at me (at least in the first two acts, which is what I've played so far and all I'm allowed to tell you about) can be solved by singing at it. 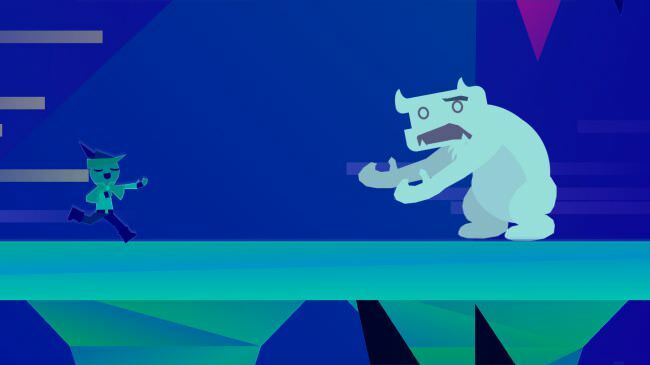 Singing to the wind to change its directions and carry me across gaps, singing at plants to make them lift me to unreachable ledges, singing at monsters to soothe them—Wandersong keeps finding inventive ways to make the Power of Music useful. The third entry in the series now has a release planned for December, and its bots need a lot of work before then. Nikola Tesla did not die penniless and alone. Not in this world, anyway. In this alternative vision of the late 19th century, Tesla’s scientific breakthroughs have already powered and funded an ostentatious ship – a part Titanic, part art nouveau showcase of his achievements. Just in case you’ve missed the hints along the way, Wolfenstein 3 is coming. Not just Youngblood, not just another spin-off – an actual, proper, third entry in Machine Games’ rebooted series will happen. 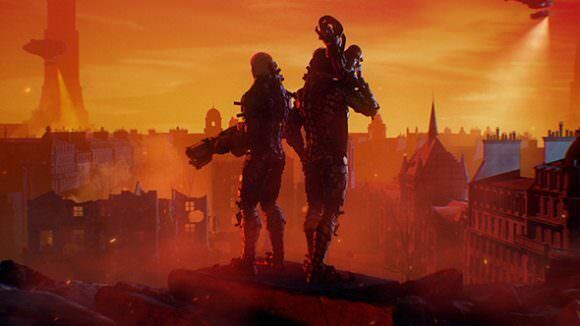 Publisher Bethesda has hinted that this would be the case several times over, but now Pete Hines, VP of PR and marketing, has confirmed it in no uncertain terms. Those who purchase Persona Q2: New Cinema Labyinrth’s first-print copies in Japan will score a bonus battle BGM set containing music from Persona 3, Persona 4, Persona 5, along with a 3DS theme. The upcoming multiplayer game distinguishes itself from Dead By Daylight by giving the killer a few godlike abilities. 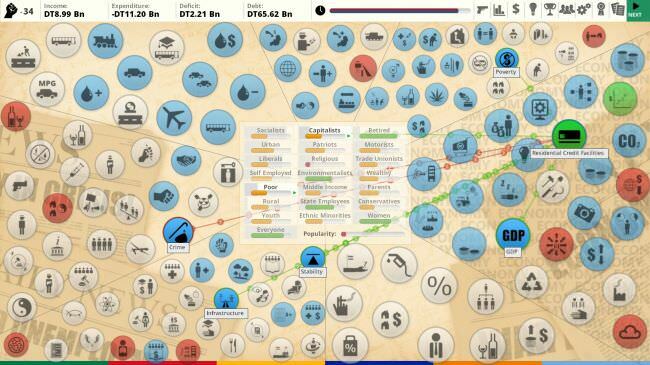 Earlier this month Cliff Harris of Positech, creator of the Democracy series of politics simulators, wrote a blog post about porting Democracy 3 to Unicode. And now, with that final change made to the previous game five years after its release, it's apparently time to announce Democracy 4. 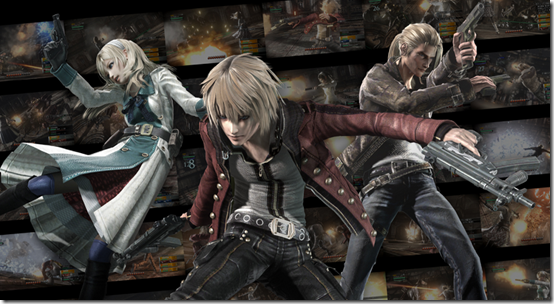 The tri-Ace developed RPG Resonance of Fate released back in 2010 for PS3 and Xbox 360, and it looks like it could be headed to PS4 and PC, as the title has recently been rated in Germany. 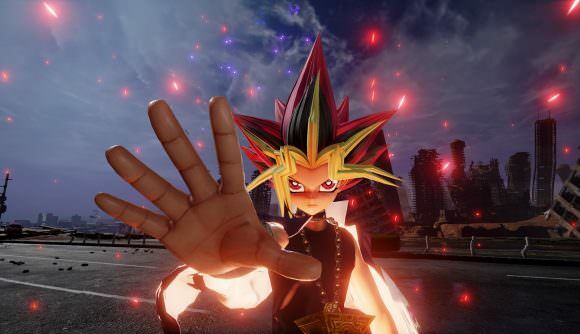 The star of the massively popular card-based manga/anime series Yu-Gi-Oh!, Yugi Muto, is joining the roster of fighters in Jump Force, publisher Bandai Namco announced. Available as a standalone purchase on September 27. Frostpunk, 11 Bit Studios' superb snowbound city management and survival sim, is getting its next major free expansion next week, on September 19th. Beaten Spider-Man on PS4? Then Insomniac has some good news for you, as it's hard at work implementing a New Game Plus mode for its smash hit superhero game. 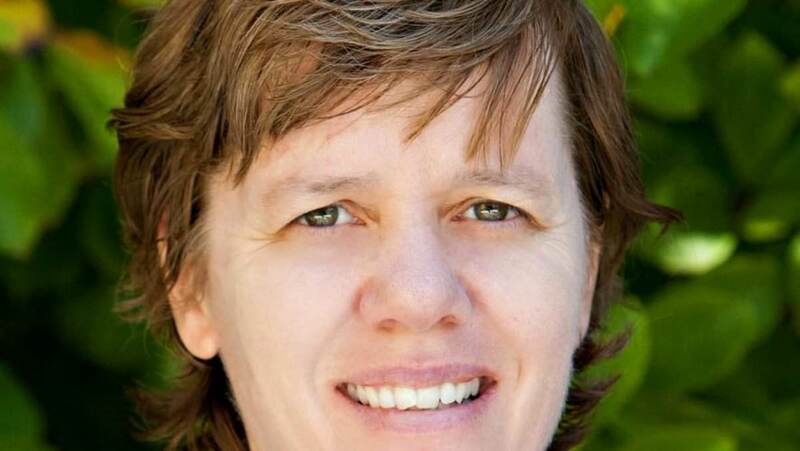 She joined Uber in June last year with the remit of fixing one of the most contentious and toxic work cultures in Silicon Valley; after just nine months, the job was considered done and Frei returned to her full-time position teaching at Harvard. 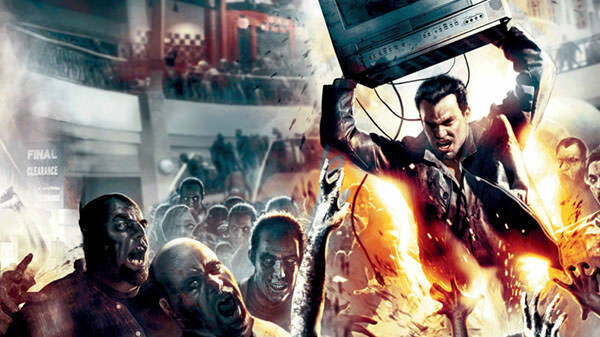 Capcom has confirmed that it has closed Capcom Vancouver. 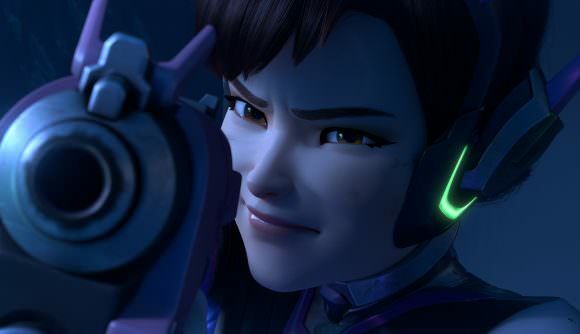 Sexual harassment in online games like Overwatch may soon be punishable by law – at least in South Korea. 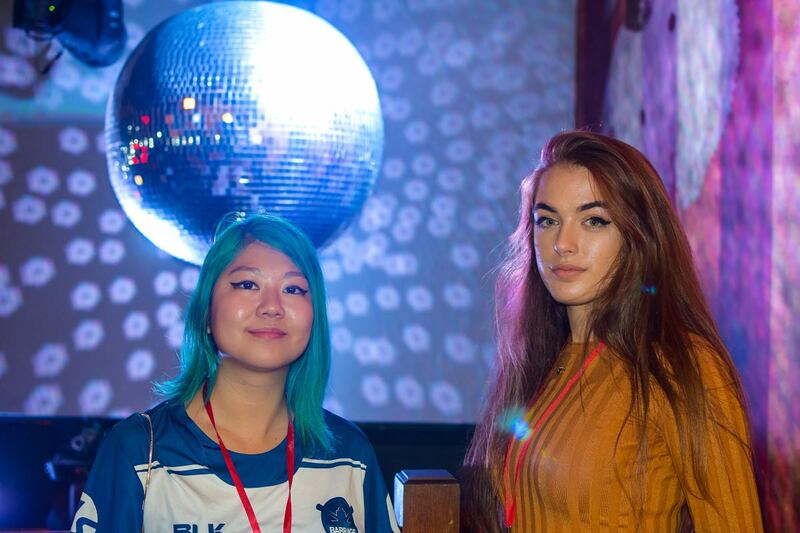 A proposed bill from the Ministry of Gender Equality and Family would make some types of toxic behaviour in gaming chat a crime. 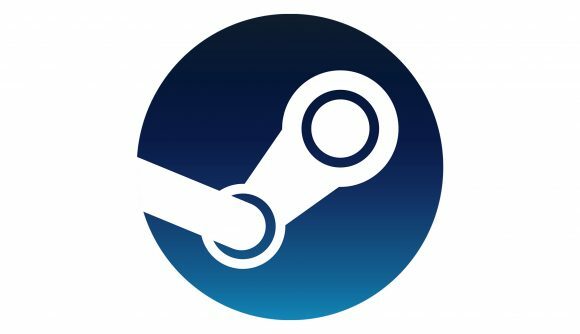 Valve and Ubisoft have both run afoul of French laws, with refund policies on Uplay and Steam failing to live up to the standards of France’s consumer code. Both storefronts now show a warning about their non-compliance, and both companies have to pay a fine as a result. 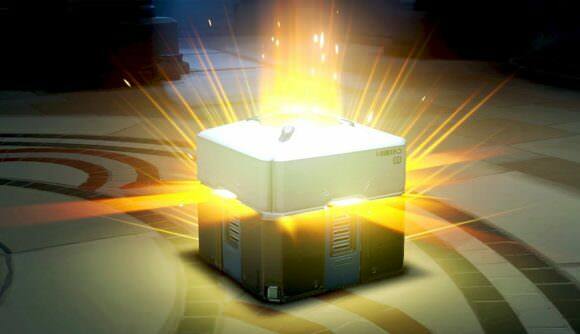 Ubisoft will have to pay €180,000, while Valve will have to pay €147,000. 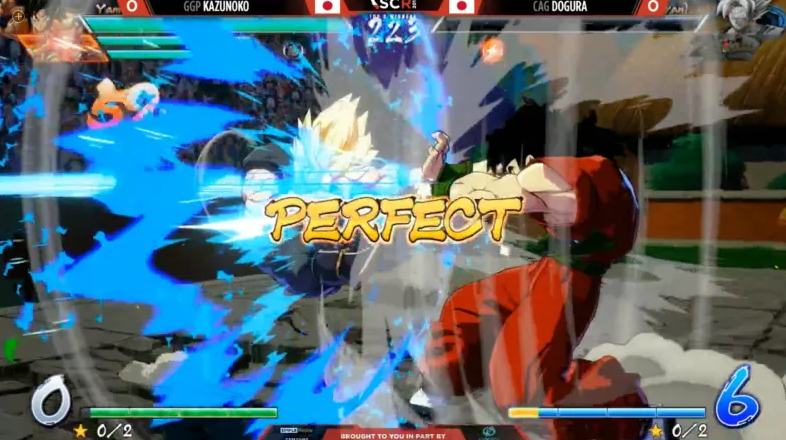 When two of Japan’s strongest Dragon Ball FighterZ players met in the finals bracket of the annual SoCal Regionals fighting game tournament last weekend, fans expected a close match. Instead, the eventual winner shocked audiences by scoring a rare perfect victory in the hectic anime game. In mid-August, in front of an audience of his own employees, Marc Merrill, a co-founder of Riot Games, the studio behind League of Legends, admitted fault. According to two sources watching, he apologized, his voice choked up, and he began to cry. Twelve years after Riot’s founding, it had become clear to its employees, League of Legends’ community, and the public at large that Riot was not the utopian games company it had set out to be. After Merrill left the stage, the company’s top brass filed in to answer staffers’ questions. 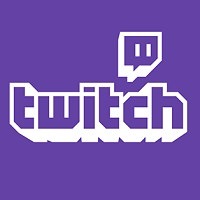 One of them was Scott Gelb, Riot’s chief operating officer, the subject of an open secret at the behemoth gaming company: For years, Gelb had been known to fart on, “ball-tap,” and, sometimes, hump colleagues for comedic effect. Why Don't Remakes And Remasters Always Credit the Original Developers? Tributes, thank yous, and shout outs are one thing, but in the case of 'Shadow of the Colossus,' 'Zone of the Enders: The 2nd Runner,' and others, it falls short. Crediting is power. 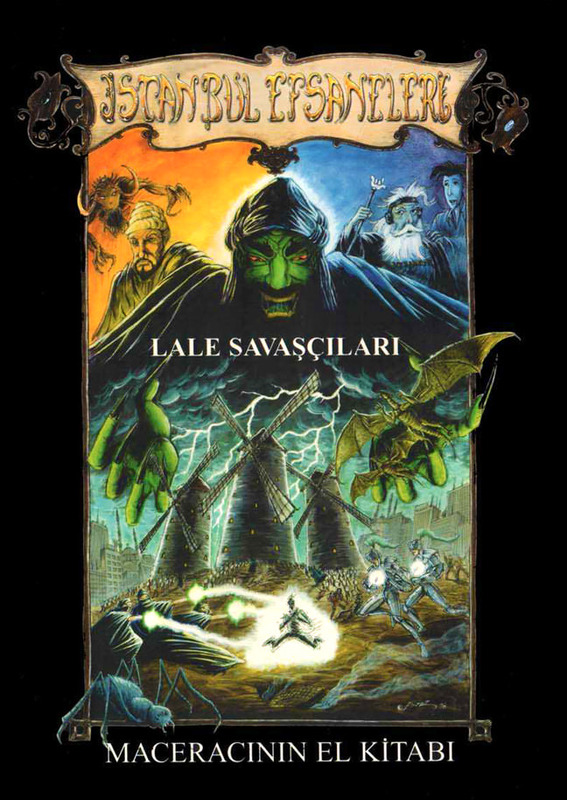 One of the first games developed in Turkey, Tulip Warriors is an RPG that takes players to modern-day Istanbul, where your party of workers, teachers, punks, prostitutes, intellectuals and government officers join forces to battle against a wave of ignorance & lies taking over the city. 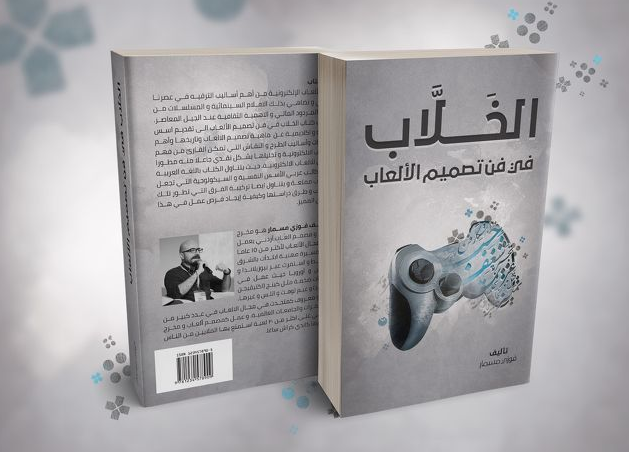 Eroticisim and videogames is a combination that raises few eyebrows these days. Sure, back in the mid-1990s, when Lara Croft was first slathered across magazine covers and subsequently took over global media, there was some shock. It’s possible to have a crush on a virtual character in a videogame? Well I never. But these days we’re accustomed to human sexuality being leveraged in order to ship more units. The most you’ll probably get these days for a naughty back-of-the-box feature is a loud tut. 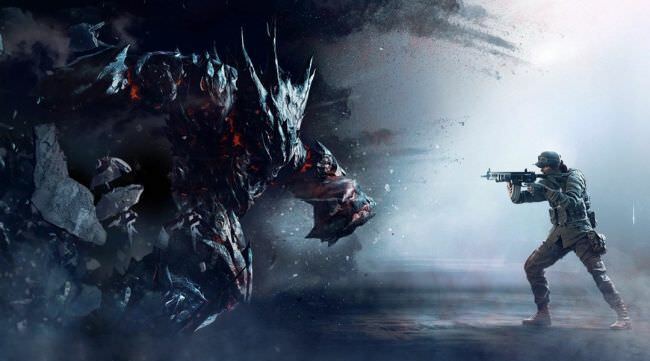 The online squad shooter is almost unrecognisable from its late 2015 launch. What happens on the internet does not stay on the internet. For better or worse, our culture is shaped and molded by what’s happening on social media. When online culture becomes toxic and regressive, so do our lives, and that works in the other way as well. If our lives are toxic, it’s unlikely that we’re going to make online spaces more positive. The memes we share hold power, and that power can be, and has been, exploited. Spider-Man and the question of, whose story is this? 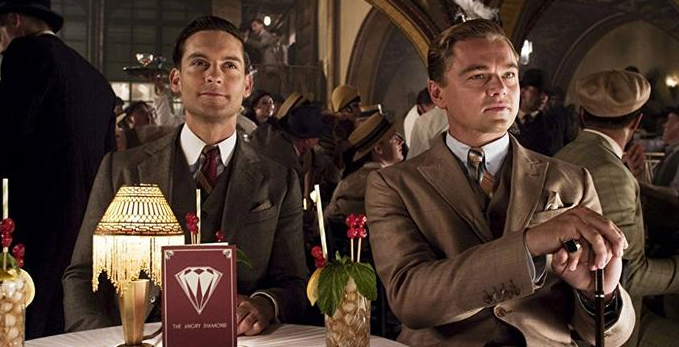 A lot of scriptwriting lore has pretty much gone mainstream by now. We're all supposed to know that good writers show and don't tell - so much so that it's enough to make you ask, reeeeeeally...? - and if you hang about around the local cinema you'll probably hear people coming out of screenings talking about delayed third acts and all that kind of densely technical stuff. (Also you'll go home smelling of popcorn, which is always money in the bank.) One of the most interesting things that scriptwriters like to talk about, though, doesn't seem to have broken through in quite the same way. One of the most interesting questions scriptwriters often ask themselves is also one of the most fundamental. Whose story is this? The darkly humorous farming simulator is dead serious about questioning our relationship with labor and goals. 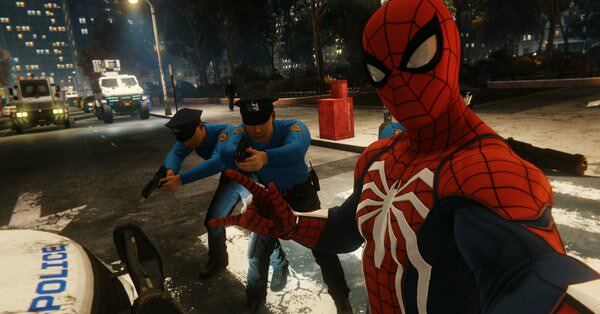 Spider-Man’s portrayal of policing feels divorced from reality, to the point that it feels out of line with Spidey’s comic book heritage. 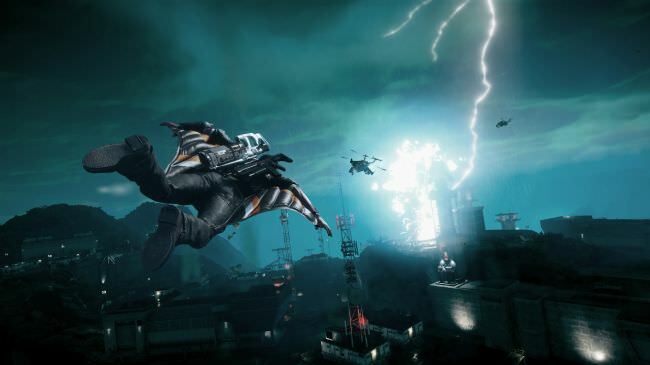 In 2009, Rocksteady’s Arkham series brought superhero video games to new heights by marrying the tragedy of Batman and his gallery of rogues to an addictive rhythm-based combat system as well as a world whose every inch was worth exploring. Asylum, as well as its open-world siblings City and Knight, have cast a shadow so large Insomniac’s take on Spider-Man would inevitably have to find some way to not only offer high thrills but also carve out its own distinct world for the player to lose themselves in. 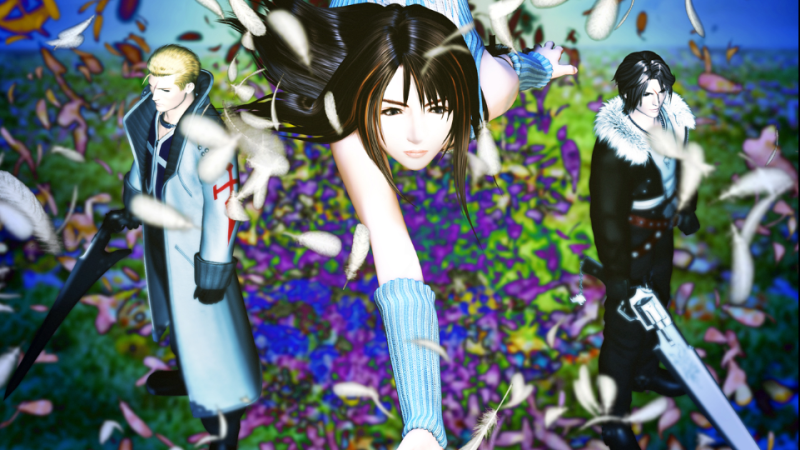 Final Fantasy VIII, the sorceress epic about a hormone-fueled romance, has been my favorite game in the series ever since I was 12 years old. I beat it almost that many times before I unlearned the lessons that Squall and Rinoa’s relationship taught me about trying to fix sad, broken guys, like the game’s gunblade-brandishing hero. 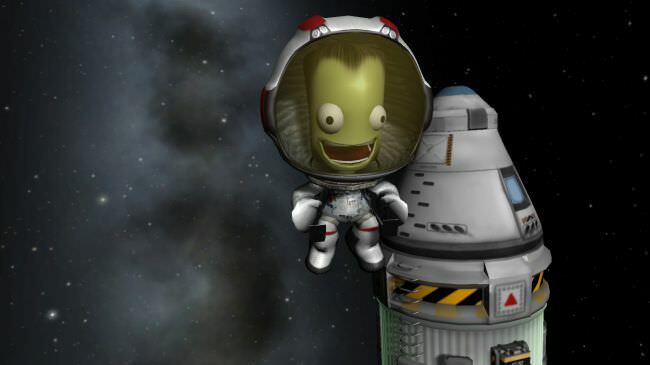 In the three years since Kerbal Space Program officially launched on Steam, Daniel 'ShadowZone' has spent a cumulative 166 days playing it. That kind of streak feels right at home in the endless multiplayer battles of DOTA 2 or MMOs like World of Warcraft. But to spend 4,000 hours playing a single-player space simulator seemed impossible to me. When I first spied the 39-year-old father of two discussing his playtime on Twitter, I wanted him to answer one simple question: What do you even do in Kerbal Space Program for that length of time? Well if you're Daniel, you spend it building staggeringly complex machines to then launch on missions so daring it'd make Arthur C. Clarke sweat—all while rediscovering that childish sense of wonder that makes space so captivating to begin with. 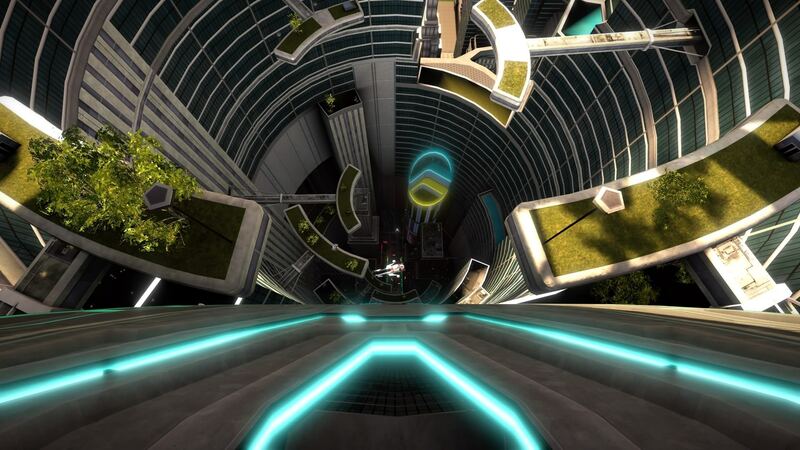 It’s appropriate then how artificial Wipeout’s portrayal of actual life inside these cityscapes appears. The onlookers placed there to cheer the racers on aren’t animated; they stand lifeless in their seats and on sidewalks built for no one like manikins cast in wax and dolled up for display in a shop. Moss and leaves run up walls to suggest a paradise world akin to the Garden of Eden, but it’s all so meticulously placed that one wonders if this flora might just be plastic superglued on plaster. Flying vehicles locomote in a straight line but it’s hard to tell if they’re truly headed anywhere. 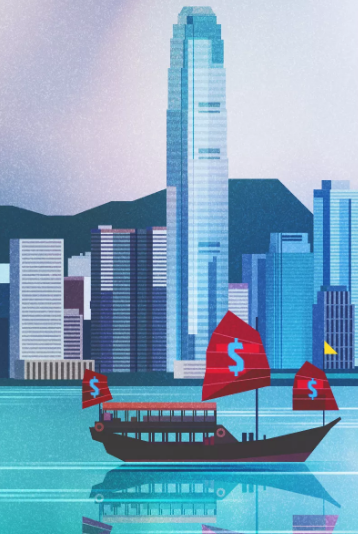 Fake pastiche brands devised by the intoxicatingly otherworldly Designers Republic appear on hovering signs and billboards, along the sides of buildings, and adorning vehicles and blimps. They advertise nothing in particular; it’s all window-dressing. Let’s look at my favourite games from the second GMTK Game Jam. The Messenger is a rad new Ninja Gaiden homage and I want to tell you why it feels so special in today's entertainment landscape. Making the infinite music for No Man's Sky's absurdly massive universe is a pretty daunting task. Thankfully, Hello Games found the best people for the job - 65daysofstatic. Here's the story of how the British experimental post-rock band came to make the procedurally generated soundscapes for No Man's Sky's infinite universe. I've had the idea for this video stuck in my head for the past month. Finally acted on it. Also, thanks for all the new and returning patrons on my patreon. Gotenks invented Dabbing. Also, all competitive match sources below. We didn’t initially think that there was a story here worth telling. 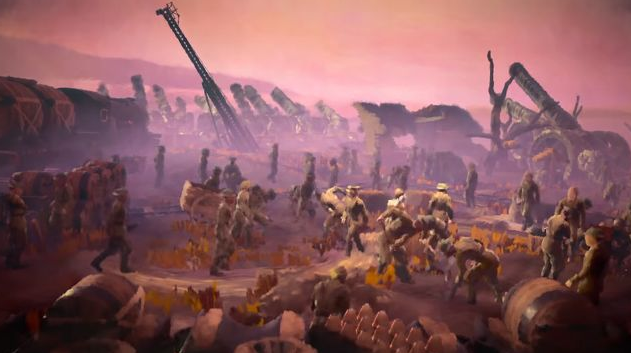 Considering how unashamedly Fortnite “borrows from” PUBG, it seemed like a lost cause to try and tell an uplifting story about megastudio Epic Games stealing the thunder from one of the breakout indie hits of last year. 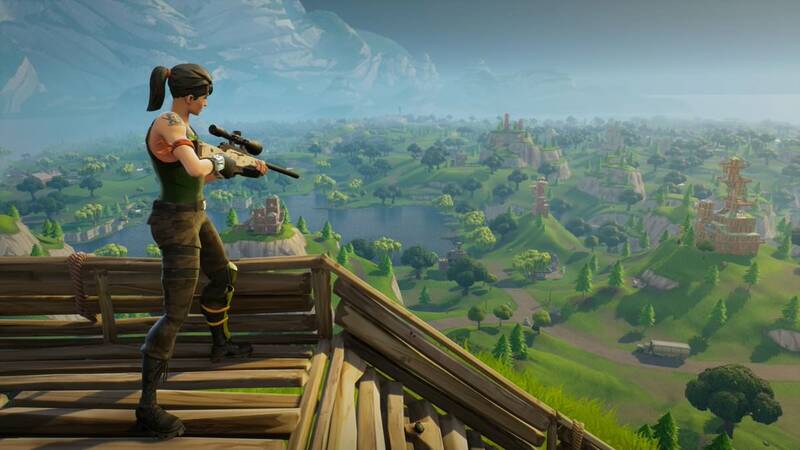 But, then we learned about the long, lengthy process that Fortnite went through before it came into existence. 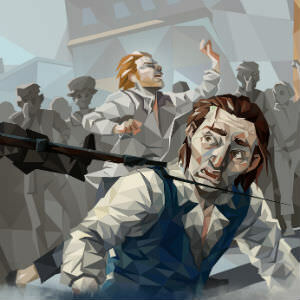 The game involved an awful lot of art changes and shifts, and that perseverance does feel like it’s worth celebrating. Today on Game History Secrets we talk about how Okami 2 almost happened, and we don't mean Okamiden. 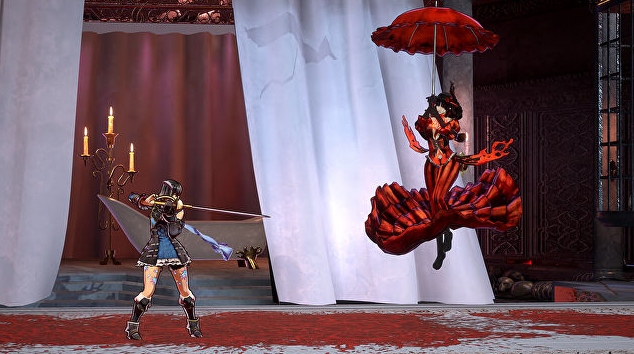 A full sequel made by Okami's original team almost came to be a whole decade after the developers at Clover Studio (who now work at Platinum Games) left Capcom. Even though the proposal fell through, Platinum are said to still have a friendly relationship with Capcom. Hideki Kamiya was even pictured at Capcom HQ playing the Nintendo Switch port of Okami HD. We sit down with Insomniac founder and CEO Ted Price to discuss his career in games, from founding Insomniac almost 20 years ago to Spyro to Ratchet and Clank to Sunset Overdrive and now Marvel's Spider-Man. Like many adventure game aficionados, I grew up playing the Sierra and LucasArts classics and the Leisure Suit Larry franchise was a prominent component of my early games library. This doesn’t surprise most game developers in my age bracket, though for some it’s a little shocking when a woman says it based on reactions people have when I say that guiding Larry Laffer through the seedy splendor of Lost Wages and numerous Aerodork terminals was a seminal part of my formative years. Diving into those game worlds was like biting into good bread: it was satisfying, sustaining, and years later I’d realize it was literally keeping me alive. 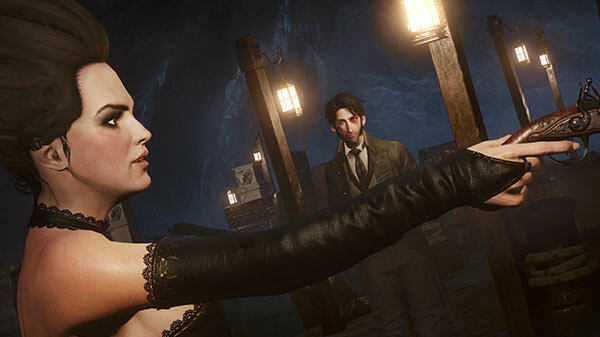 In creating Karnaca, the development studio responsible for Dishonored 2, Arkane, put together an elaborate critique of class-based societies. 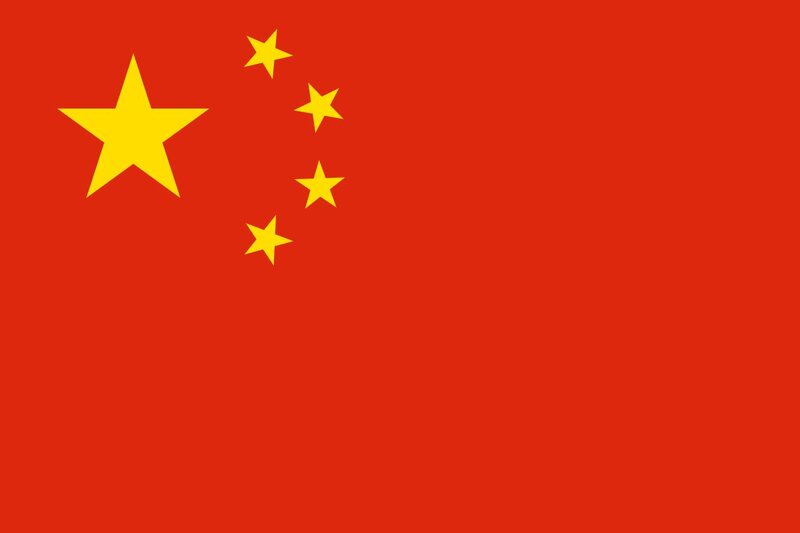 Things like wealth, status, entitlement, and corruption were made manifest in a way that seemingly transcends level design. 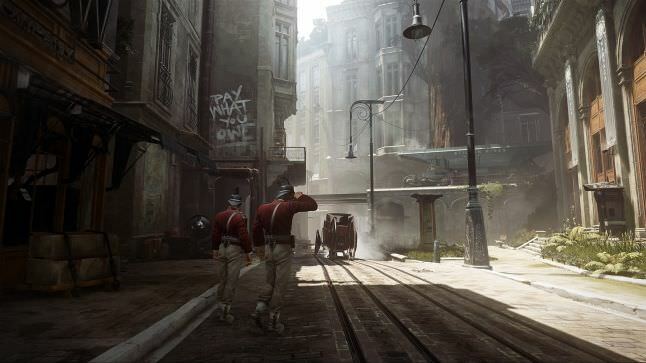 Arkane succeeded in making Karnaca feel as if it were a living, breathing city. How did the studio pull this off?